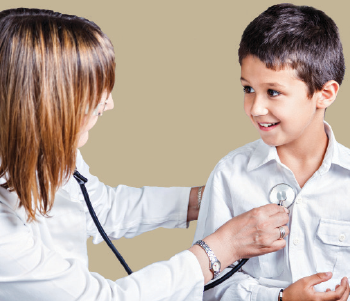 Physician Offices or Hospitals, you will receive response to your non-urgent email or FAX communications with Pediatric Specialists of Virginia within one business day. 1) Email PSVDocs@PSVCare.org with your general question that does not include any protected Personal Health Information (PHI). Responses will be made as soon as possible to your email address (unless you specify otherwise) within one business day of receipt of the inquiry. For example, this inquiry might be about availability of a particular type of specialist or possible closure for an upcoming holiday. 2) Email (PSVDocs@PSVCare.org) or FAX (703-839-8798) an inquiry with protected Personal Health Information (PHI) by downloading and completing the Patient-Specific Inquiry form. An example of this type of inquiry would be a request for a specific patient referral that is more urgent and cannot wait for the next usually available appointment. Or it may be a question to a specific physician or on-call specialist about a patient’s condition and possible treatment options that does not require an immediate consultation. Please specify the email, FAX or phone number to which our response should be directed within one business day of receipt of the inquiry. Download the Patient-Specific Inquiry form. Guarantee: Should PSV be unable to respond to the inquiry within one business day because of the nature of the question raised or the availability of the requested physician, we will contact you within that period to see if other arrangements should be made to meet your needs. ***Note: Protected Personal Health Information (PHI): Please remember that you are responsible to assure that any message sent to PSV containing PHI is sent in a secure or encrypted manner. PSV’s response will come back encrypted to the requestor.